I was wondering if you're going to update this post in light of yesterday's video. There seems to be quite a few things that need interpretation. Thank you so much for writing this, all your points are put together so well! thank you kindly :) i have a lot of time on my hands! as i know you have been told countless times before, good job!! your interpretation is really thorough and makes a lot of sense. if this artist really is jonna lee (which i, like pretty much everyone else, believes), i'm hoping she releases some music similar to that of the original videos. i did happen to like this latest song, too. haha...these first few times i saw this latest video i was super exhausted and thought she was wearing cow insemination gloves and figured it tied in with the whole birth thing. i blame 'lost' for making me read into stuff way too much! ick factor might have lost me a bit if they were! totally off topic....but, are the photos you use on here original ones you took? i've really been into plague doctor imagery for awhile now and love your icon with the girl wearing the beak mask. i've been trying to find somewhere online that sells quality looking ones for under $80. damn, sorry i'm so long in replying, i just noticed i had unanswered messages on my livejournal. score one for team ditz! i'm really into plague doctor imagery and history too! the icon is just from a picture i found online but damn, i'm looking for a nice mask also. all the ones i keep finding look sooo cheesy. So, I've been following this on ONTD, though I'm not part of the community, I wanted to come on here and let you know that your dissertation is well thought out. These videos have become my new brain food, and that your dissertation has helped me gain perspective on what's going on. And, my thoughts on the latest two videos, U-1 and U-2, I simply read it as 'You won.' and 'You too.'. Each have gotten revenge on each other, but that's just me. Keep up the awesome work, hellaine, you've got another watcher on the iamamiwhoami conundrum. i followed ONTD for about 4 years before i actually joined haha. not so sure if it was a good idea or not as i think i may be the oldest member there at a whopping 28.
i think the cool thing about these videos is that they are ambigous enough--both content and titles--that you can kind of draw your own idea from it and it will fit. and because it's your idea and it fits, you will feel that much more connected to the project. this might be getting into a whole 'nother discussion--and i am properly liqour soused as i type thise so who knows--but i don't think revenge was enacted on each other, as per your remark. i don't think he 'revenged' on here, he had no reason to. 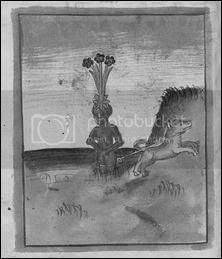 i don't even think he 'won' over here; i think mandragora's world is a world that is def. patriarchy ruled and him owning her, well, he would see it as a right, a privledge, and not as him triumphing over her. the same way those cars and women in that video were free property to any man who could afford such a thing. but who knows, like i said, the glory of interpretation. it's easier to look at each title just as it is. b is the letter b. o is the letter o. u is the letter u, part one and two because part one was a mini-precursor track. anyway nice to meet you and may we exchange comments in a much soberer time. i was going to write up a my synopsis/analysis for 'u' but i was waiting for part 2 to come out. now i am waiting for my blood to thicken so. soon. You seem cool.I love your analysis of these videos. Though I must say the child pageant video and Heidi and Spencer sort of freaked me out more than anything in these awesome videos. 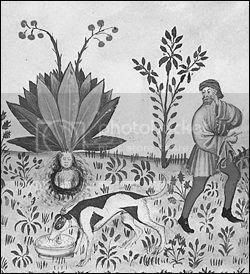 And you're right that the music of the mandrake seems to be making those men high as they all wear varying expressions of intoxication. thanks :) i think it's a lot of fun to kind of... see the different ideas that can come from such a vague project and shoot them off of each other. Heidi and Spencer will forever freak me out more than anything in the world. At first I tought they were rather brilliant in a Real Life Trolling kind of way... now I think they have dipped way over the the 'Mad Scientist' spectrum. yeah, you could be right, i just really don't know and i don't think--so far anyway--that the videos give us enough information to know. a lot of things you kind of have to wait for the next video or two and then you can get the context of the past few. i'm leaning towards he is shown as young as a sort of infantilism/oedipus complex that exists in men--especially noticeable in men like Spencer Pratt, for instance. i think they used an older man, babied him down, oldened him back up again as a metaphore, i just can't see the reason why yet. i don't think anyone can see the whole picture yet, just the pieces we're given, but it's certainly fun to guess! i think any male voices heard during the video are his thoughts, fears, fantasies, reflected back to him as seems to be the kind of 'weapon' effect of the mandragora inducing stendhal syndrome. 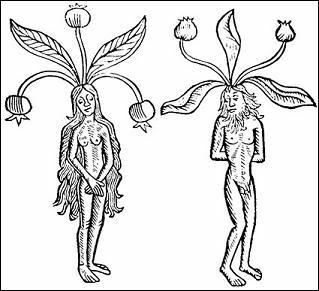 i've read about mandrake plants being used to make amulets but i've left that mythos out of my ideas because it is a seperate mythos from the 'mandragora plant as a human form'; it's two different beliefs and so, for my purposes, i have to stick to the myhtology i believe the video is going for and not just pick and choose different aspects of different lores, so long as that tiny aspect fits. i like your thoughts though, they've certainly given me a bit to think about! It's Anthony from Youtube (GM4GBWM). You're welcome for the mp3. Least I could do since you have been decifering all this info. I can't wait for the final reveal. Oh yay good to see ya :) Yeah, I can't wait for ANYTHING from there! I get excited for the music but I don't complain about the wait because once it's over, it's over I guess. You're awesome!! It's thanks to you this makes sense to me. Would love to hear your thoughts on n! 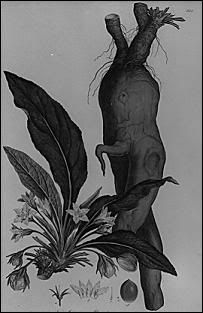 I read this when it was first posted, but the newest video (y) supported your mandrake theory perfectly and I was so amazed that your ideas were so bang on. This was the first thing I thought of, just wanted to give you an internet pat-on-the-back. Really incredible stuff you did here. Hey thanks! I didn't even catch when the newest video came out until I logged on and had some emails about it haha. Funny enough, I had been logging in to Youtube almost every day to catch one! Ah well. I updated the entire article today to finally write about the videos I had missed. I haven't got to Y yet--it's such a massive video, insofar as being the finale (?) and all!--so there's a lot of new stuff at least. this is really insightful. 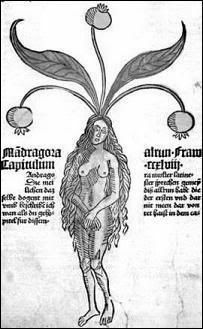 having recently come to the videos (within the last week), i had no idea what was really going on, and had never heard the mandragora myth, but it really makes sense. so thank you for providing this explanation for those of us who are perhaps too enchanted by the videos/music to give them the full, in-depth consideration and analysis that they deserve, as you have. seeing how all of it fits together gives me an even deeper appreciation for this entire project and all of the thought that went into it. I've finished this article while you posted your comment (well, all of it except for a section on the newest video) so phew! Hopefully I can get the last leg done soon! am i the only one who hears the lyric in T to be "we built our bounty from nothing". i guess armies makes sense with the talk of "battles" and stuff, but listening to it in the car always sounds like bounty. yeah it could be that, the copy I have of 't' is like an mp3 lift from the video and not the actual track (lifted it when the video came out and then forgot about getting the real one) so i'll have to buy the track and blast it and see what i hear haha. i think i lifted those lyrics from songmeanings.net because i had a hard time making out what she says in that song. Thank you so much for sharing all of this! I never would have pieced it together. I would like to submit something, though. The numbers in the title of the prelude videos actually do mean something. Using the simple 26-letter alphabet code, you can read hidden messages. All of the individual numbers separated by periods help write out a clear, English-language word. The continuous numbers that aren't separated by periods do not form any clear word. I am guessing that these extra letters in each video are an anagram. Unfortunately, I've never been very skilled at those. Also, there are a few times that zeros are placed in the sequence. Perhaps this indicates where breaks occur for separate words? I'm not sure. If you or anyone else can figure it out, kudos! In video six's message, notice the "y" instead of "w" in "welcome home." You mentioned the significance of Y versus "Why?" in your description as well. You might have already picked up on all this, but I figured I'd share. Yup! It had been discussed pretty extensively early on. In the beginning stages of this article I had a paragraph that mentioned the numbers but also said I had to clue, outside of those messages, what the extra numbers meant nor could I make a guess because my forte is symbology and mythology and my work with numbers suuuuckkksss haha. which would be 'w'elcome home and not 'y'elcome home. I checked with a crypto site just to be sure since again, numbers and Hellaine do not have a solid working relationship, hehe. No clue what the extra numbers mean. At unfiction they worked hard on them for a short bit but nothing ever came of it. I was hoping eventually they might make sense, as more was released, but who knows. Mmm, another interesting not: very early on, video one did not include the message 'EDUCATIONAL'. I don't know what the message used to be--if it was anything at all--but the EDUCATIONAL part was only tacked on after the owner of the Goat Clip video that was originally used in the Prelude video (http://www.youtube.com/watch?v=dv5EPO74wow) complained about her video footage being used and sent a letter to the Iamamiwhoami Youtube Account claiming here footage was 'for educational purposes only'. I don't know how soon or late you came into all of this so apologies if I am presuming anything here, but in the early staged of the viral videos, the animal videos (now linked to each video) were actually clipped down and put IN TO the actual video, as opposed to the black and white animal clipart that is there now. So it was a much different vibe for the first three videos, then the 'goat lady' complained and all that changed hehe. hey! ive been following iam for a long time and like everyone else i really like your interpretation of the videos and story. by "your interpretation" i mean "what is most likely the truth." im pretty stoked youve updated it and made it a bit more thorough. also pretty interested to see what you have to say about "y"! Hey, thanks for you kind workds! I hear so many theories and have read a lot of other theory pages and it can be confusing to know just what is what but I think that is awesome. I think we can write all of these theories and everything but what the video means the most is what it means and says to each individual user. I can type out all of the above but it's only going to speak to someone if they feel the same way. I see a lot about control, sexuality and patriarchy in the video, but some people see more about death and rebirth and 'be kine to nature' etc., so you mileage may vary and I think the best any form of art or music can do is to be open and applicable enough to be understood/heard by all users in their own way. I also liked your picture of, uhm, it's like on blue, just two faces with the spiralscratch eyes. To me, that picture in charcoal and framed would look beautiful, but that's my aversion to color hehe. Peace and further inspiration to you!